While we know it for helping kick the common cold, did you know that vitamin C also plays an important role in maintaining healthy, resilient skin? This powerful antioxidant works by ridding skin of free radicals and protecting it from environmental aggressors like pollution, stimulates the synthesis of collagen and helps minimize scars, fine lines, and wrinkles. I will admit, I was no stranger to the tanning beds in my younger years. Even though I've always been, as my mom would say, a "moley kid", I thought I was resilient and would never see the effects down the road. Was I wrong. Over the past couple of years, I've started to see the repercussions of sun worshipping on my face, with a new freckle or dark spot popping up every once in a while. Freckle is just a nice word for sun damage folks, and I don't like it one bit. I was clueless to the fact that vitamin C plays such a huge role in healthy skin. Sure, I take my daily multivitamin and vitamin C pills, but applying a topical vitamin C serum to the areas of concern, never crossed my mind. I was recently provided with a sample of OZ Naturals vitamin C serum, and it has quickly become part of my daily skin care routine. When you think serum, you often think thick and sticky, but this serum is the exact opposite. The serum goes on evenly and smoothly, and once dry, can be applied under your daily moisturizer. 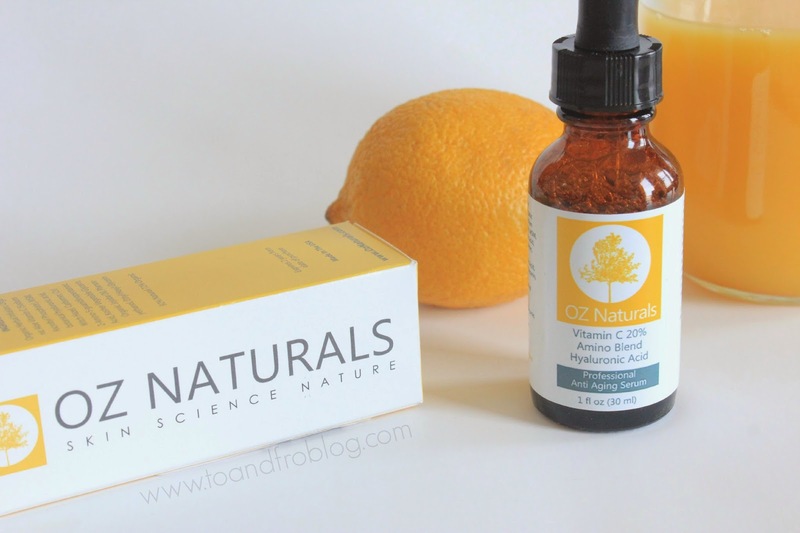 OZ Naturals combines the highest quality Vitamin C and Hyaluronic acid to create a potent antioxidant that helps protect and brighten your skin throughout the day. It works deep down below the skin's surface to aid your skin in naturally producing more collagen, something we lose as we get older. In addition, hydration is improved thereby plumping up skin cells to minimize the look of fine lines and wrinkles. While it is still a little too early to see any changes in skin tone or elasticity, I'm liking what I'm feeling so far. This product is 100% vegan, cruelty-free, paraben-free, sulfate-free, mineral oil-free, lanolin-free, gluten-free, and GMO-free. Even though you should see results right away, give the serum 30 days to work its magic. This product is safe for use on all skin types and will not clog pores. It does not contain an SPF and should not replace your daily sunscreen. 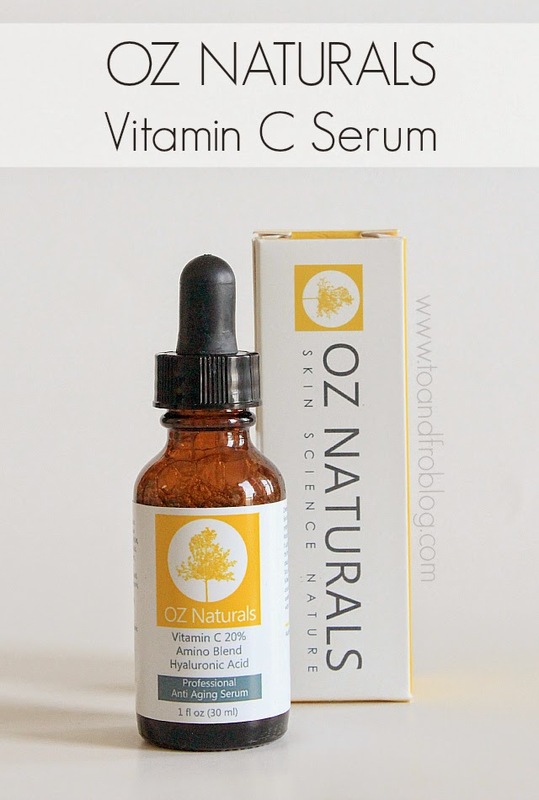 Interested in purchasing OZ Naturals vitamin C serum? Click here. This is a great post! I've looked at Vitamin C serums before, but have always wondered if they're worth it. Thanks for going into detail about what they do for your skin! I was never one to go tanning (sunless or with the sun), because my dad has had issues with his skin after living in the Mediterranean for a couple of years. Back when he was there, people didn't wear sunscreen as much, so it has definitely taken its toll.